In Manhattan, Brooklyn, Queens and beyond, new homes and developments are making use of an advanced material for kitchens, bathrooms, dining rooms and other areas. LG Minuet Quartz Countertops are part of the Viatera Collection from LG Hausys. 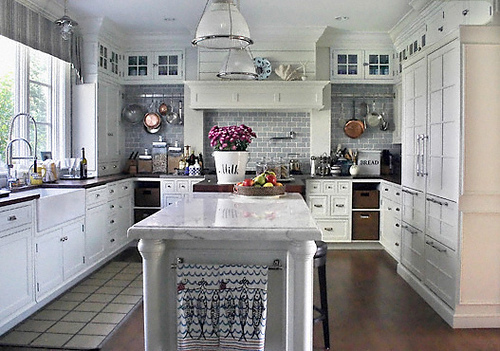 The alabaster and gray marbling of the countertops‘ finish lends them a luxurious and rich appearance. The countertops‘ name comes from the harmony of colors in their pattern, similar to marble, which offers a feeling reminiscent of the notes in a minuet. Minuet Quartz Countertops are comprised of Viatera, a surface that’s resilient, hygienic, jumbo-sized and low-maintenance. It’s composed of 93 percent quartz, one of Earth’s hardest minerals that is stronger than stone, such as marble or granite. In fact, it’s even stronger than titanium or iron. This American-made material can be resurfaced by professionals in case of scratches or impressions, due to a sealant-free consistency (unlike granite). Viatera is non-porous and seamless, without surface irregularities and/or crevices where mold or dangerous bacteria can build up. It doesn’t require a regular regimen of waxes or sealants to protect against cracks and natural pits and to maintain a hygienic state. It’s built for a lifetime of service and can endure wear and tear from everyday use, with a greater resistance to chemicals, stains and heat than other surfaces such as granite; as long as it’s properly maintained, Viatera can remain durable and beautiful for decades, lasting for generations. Viatera is an economical choice of material that provides quality without breaking your budget. Now, you can upgrade your space without overspending. 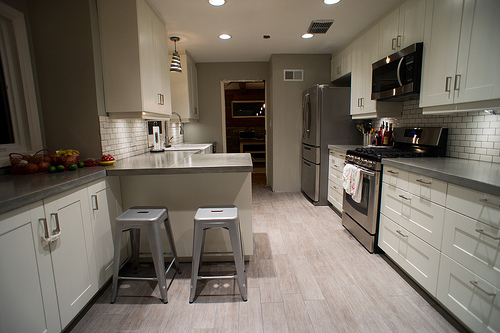 Minuet Quartz Countertops’ 24 percent larger size (130″ x 63″) versus natural slabs means that they can accommodate larger kitchen sizes in Manhattan, Brooklyn and Queens that feature bigger kitchen islands and fewer seams. Viatera is environmentally sustainable, due to the material it uses and its environmentally-conscious manufacturing process. It’s both Greenguard- and National Sanitary Foundation (NSF)-certified, and it can contribute to USGBC (United States Green Building Council) LEED point ratings. LG Hausys, the manufacturer of Viatera, is a green and clean company, with over six decades of experience in surfacing solutions. With manufacturing facilities in Adairsville, Georgia, and efficient shipping to Manhattan, Brooklyn, Queens and beyond, the company has a firm commitment to environmental conservation and preservation and is ISO 9001- 14001- and 18001-certified. LG Hausys backs up Viatera with a 15-year warranty that’s transferable. 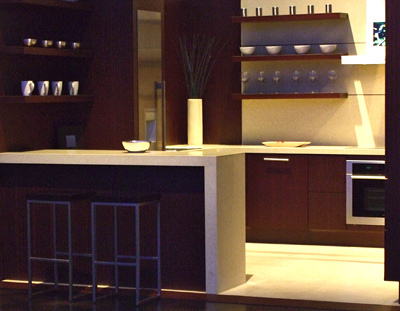 LG Minuet Quartz Countertops can be used in a number of different applications. An obvious choice is for kitchens and dining rooms where their durable and versatile surfaces can withstand temperatures as high as 360°F for short durations without burning or scorching (the use of trivets and hot pads is recommended to prolong the lifetime of the material). 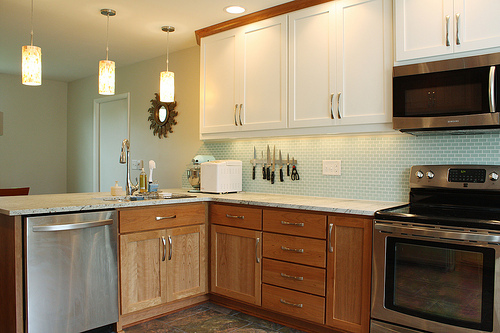 The countertops can be tastefully matched with sinks and bowls to boost kitchen efficiency and style. 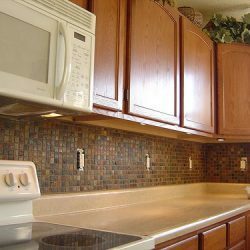 A variety of edging treatments can be applied to perfect your kitchen’s look and blend the counters with virtually any setting. 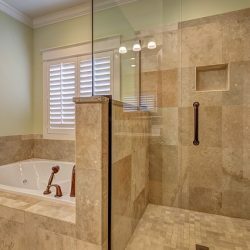 Bathrooms also offer a great application for Minuet Quartz Countertops. Whether they’re used as counters, surrounds for sinks or as frames for bathtubs, Minuet Countertops’ hygienic surfaces retard chemicals, mildew, mold and bacteria, and the material is easy to clean. The luster of the finish will last for years, with minimal care utilizing household cleaning products. Other uses for Minuet Quartz Countertops include breakfast bars, backsplashes, wine racks, storage and displays, wall cladding and home offices.